When planning out your exercise regime, what type of food and timing of ingestion are key to seeing results and improving on your performance in the gym or out on the sports field. 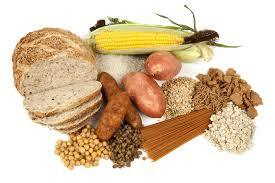 The most important food group with regards to exercise is carbohydrates (CHO). CHO is the primary fuel that the body uses to produce energy for exercise, movement and every day life. The problem is there are many different types of CHO foods in the shops, you have sugary, processed, grains, starches, refined, non-refined etc, the list goes on. And if you eat the wrong types of CHOs at the wrong time of day in regards to exercise, you will struggle to lose those extra pounds and won’t have the energy to do a workout. To make life easier look at the Glycemic index of CHOs. Glycemic Index (GI) is used to classify carbohydrates according to the rate at which they increase blood sugar. If a food has a high glycemic this means that when digested sugar is released into the blood at a high a rate and over a short period of time. This sugar is converted into glucose and used for energy, and because blood sugar levels are high, the hormone insulin is released and this prevents fat from being broken down for energy. And if glucose isn’t utilised as a fuel from being inactive, it is eventually converted into fat. Bad times! If you consume low GI CHOs, sugar is released into the blood at a slower rate and over a longer period of time. This means the body has a sustained release of energy over a number of hours. As blood sugar levels are low, less insulin is released into the blood and the body can utilise fat as an energy source. The majority of carbohydrates you eat should come from low GI sources. Try to eat a breakfast consisting of low GI carbohydrates such as porridge. Focus upon medium to high GI carbohydrates post exercise to optimise the replenishment of muscle glycogen. If there is a need to lose body fat, ensure that most of the ingested carbohydrates are low GI, especially during the evening when muscle and liver glycogen stores are likely to be full. Try to avoid late night high GI snacks and choose low GI alternatives. During short duration exercise, there does not appear to be any advantage of choosing one form over the other, although during longer term exercise consuming low GI foods may prolong performance, especially if no carbohydrates are ingested during the exercise. Furthermore, if body fat reduction is an aim, then low GI foods pre-exercise may promote greater fatty acid oxidation and help with weight loss. In addition, any individuals who are prone to fluctuations in blood sugar would be advised to consume low GI foods pre-exercise to prevent any rebound hypoglycaemia. Try to include some medium to high GI foods immediately after resistance training to promote muscle protein synthesis and prevent muscle protein degradation. Ideally this should be with approximately 20g of high quality protein to maximise net protein synthesis. Low GI foods include – sweet potatoes, nuts, beans, porridge, wholemeal bread, quinoa, brown rice, cous cous, sprouts, and greens. 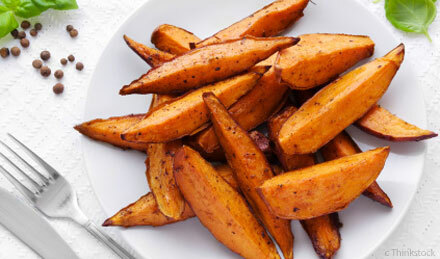 Sweet potatoes wedges are one of my favourite sources of CHO. High GI foods include – white bread, white rice, potatoes, pancakes, fruit juice, doughnuts, bagels, crisps, chips, and waffles. Look at the packaging and the amount of CHO, and the writing in brackets which states ‘Of which is sugar’. If the amount of CHO in the food is made up of majority sugar, it will be a high GI CHO. Avoid low fat food products as they have added sugar or sweeteners. Stay away from sugary snacks, and eat as natural and fresh as possible. Follow me on Instagram @tommanspt to see healthy CHO snacks and meals.